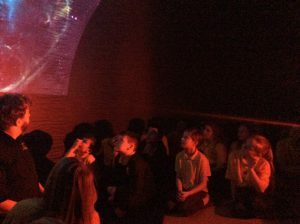 Year 5 have really impressed all of the teaching staff with their enthusiasm for our new topic Possibilities Are Endless, which is all about space. 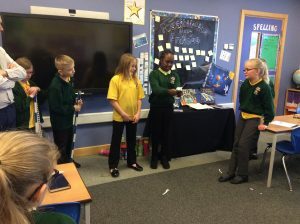 This week, they have been writing some fantastic sci-fi stories in which the Earth’s gravity has been affected by a mysterious force, causing everyday objects to float! 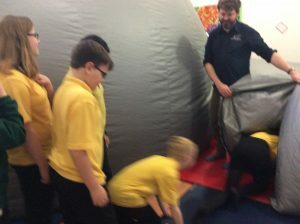 Our Bang Day last week was a huge success, with the children trying a variety of fun, space related activities for the first time. The first of these was building an air-propelled rocket using a drinks carton. 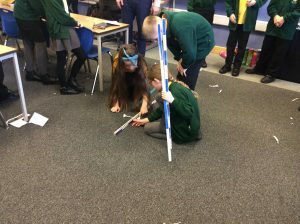 The children enjoyed working out how to make the most aerodynamic design and how to propel it with the most force to win our ‘fly the furthest’ challenge. 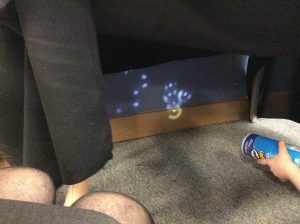 Secondly, we made ‘canstellations’ which used a Pringles tube to represent star formations and could project them on the wall with the aid of a torch. 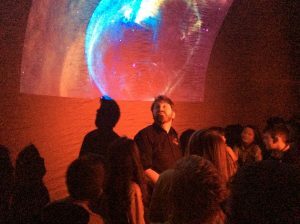 Finally, we entered the Explorerdome for an immersive journey around the Milky Way, learning about the planets and other celestial bodies in our solar system. The children showed off their considerable knowledge and asked our expert visitors some fantastic questions. Still to come in this exciting topic is a visit to Aerospace Museum in March and next week we will begin filming our documentaries about the planets. Please check the KFPS TV page of the website for updates!